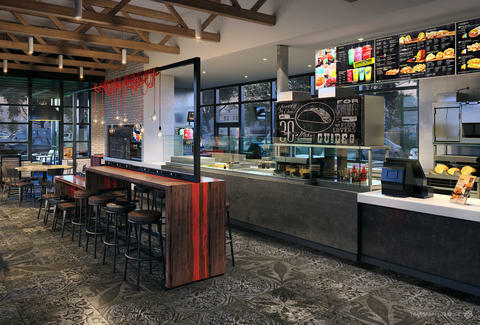 Months after its first fancy, booze-serving Cantina concept debuted in Chicago, Taco Bell recently announced plans to finally bring similar restaurants to cities all across the country. Cleveland, it turns out, will be one of those cities as soon as later this year, according to the fast food giant. Taco Bell plans to open the new Cantina, which will serve beer and other alcoholic beverages, in the city's Public Square sometime this year, a spokesperson confirmed via email on Thursday. As cleveland.com reports, the restaurant will be located in the old May Co. building. Similar to the Chicago location, Cleveland's new Cantina is expected to feature an open kitchen, local artwork, food served in open-faced baskets, shareable menu items, and -- most importantly -- alcoholic beverages including beer, wine, sangria, and "Twisted Freezes" (spiked frozen drinks). The spokesperson, however, could not immediately confirm the exact offerings. But you can bet the place will be almost nothing like the typical T-Bells you're used to. Last month, Taco Bell revealed plans to open additional Cantina locations (some of which won't serve booze at first) in cities like Atlanta, New York, and Boston as well as smaller metro areas like Austin, Berkeley, Fayetteville. One of the initially booze-less outposts is slated to open in Columbus, according to a report by Eater. We'll keep you updated on where the next one might pop up. Judging by how the Cavaliers are doing in the NBA Finals so far, Cleveland might need all the booze and tacos it can get. Tony Merevick is Cities News Editor at Thrillist and really needs to check out the boozy Taco Bell in Chicago the next time he's there. Send news tips to news@thrillist.com and follow him on Twitter @tonymerevick.